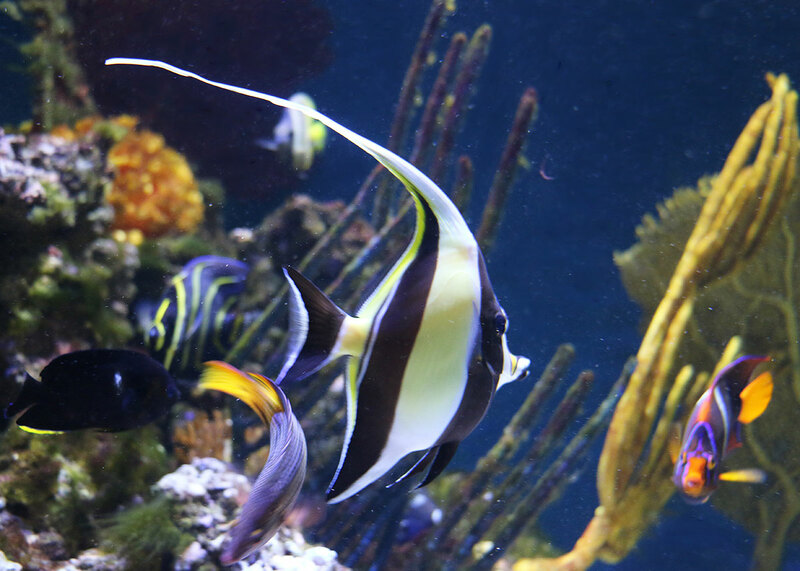 Next time you visit the Aquarium, be sure to stop by the new Sea of Cortez exhibit on the first level. 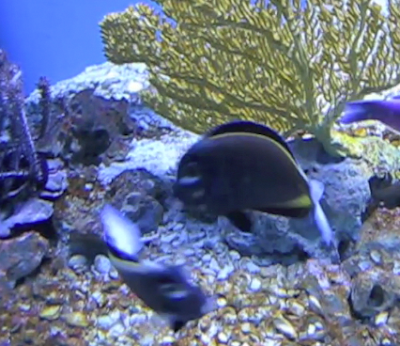 When you get there, you might see this fascinating behavior--spinning gold-rimmed tangs (Acanthurus nigricans). Here's what it looks like. This can go on for much longer than the length of this video. This is a common territorial interaction for several species of surgeonfish. 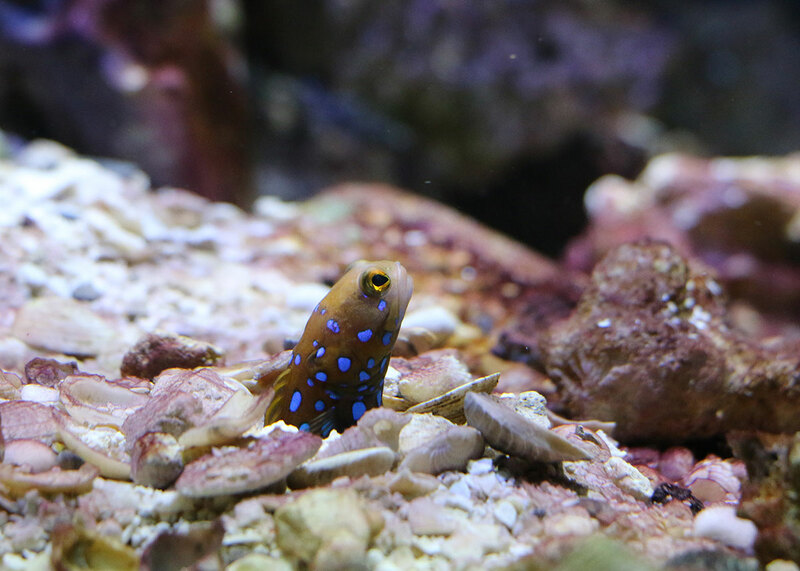 Be sure to look for other fascinating fish behaviors during your visit to the tropical gallery. There are two new opportunities for visitors to experience Pacific seascapes with the renovation of an exhibit bay on the Aquarium's first level. 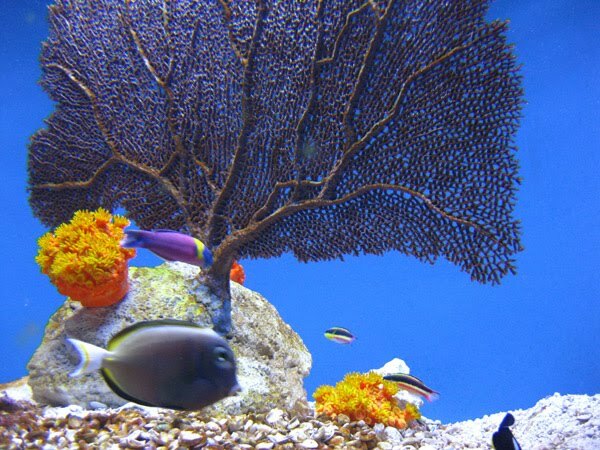 One exhibit presents the Sea of Cortez coral environment. Aquarium explorers visited this environment during an expedition in 2008. Their updates from the field reveal how closely this exhibit replicates the actual habitat. Next to this bright tank, visitors can explore a Deep Pacific coral environment. The video below shows the contrast between these two fascinating vistas.